A landlocked country bordered by Chile, Brazil, Paraguay and Peru, this South American country is officially called the Plurinational State of Bolivia. Bolivia is filled with adventurous destinations and jaw-dropping scenery of nature, which makes it one of the most beautiful countries in South America. Madidi National Park is one of the largest protected areas in the world and is also considered as the most biologically diversed regions in the world. Madidi National Park is filled with amazing and stunning beauty of nature because of its tropical rainforests, gushing rivers and gently sloping grasslands. Considered as one of the most famous roads in the world, Yungas Road is also called as the Death Road or the Road of Fate. This is tagged as the “world’s most dangerous road” as there were numerous accidents that occurred in this road; however, Yungas Road is also one of the most important channels for transportation in Bolivia as it connects La Paz to Corico. Sucre, which is the constitutional capital of Bolivia, is a vibrant and beautiful city in the center of the country. This historic destination is where Bolivia’s independence was proclaimed, plus it is where the significant government office lies. Sucre was recognized as a UNESCO World Heritage Site in 1991 because of its sophisticated colonial architectures and preserved infrastructures. Sucre is ideal for city walks, as tourists will be able to enjoy the sights of museums and art galleries showcasing the rich history of the city and Bolivia. Carnaval de Oruro or Carnival of Oruro is a religious feast that was first celebrated 200 years ago and is one of the most famous festivals in South America. Carnaval de Oruro, which is listed as the Masterpieces of the Oral and Intangible Heritage of Humanity by UNESCO, takes place in Oruro, Bolivia that attracts several tourists to join and celebrate the festival with the locals. Lake Titicaca is bordering Bolivia and Peru and is known as the world’s highest navigable lake. This destination is locally believed to be the birthplace of the sun according to Andeans. Recently, experts discovered an ancient temple that submerged in the profundity of the Lake Titicaca, which is believed to be aging around 1000 to 1500 years old. This latest discovery in Lake Titicaca added mystery and interest to this exciting destination in Bolivia. Tiwanaku is said to reign supreme in around 500 and 900 AD during the Pre-Inca civilization. This destination is surrounded by ancient structures such as pyramids, temples, monoliths, mysterious carvings and symbolic gates. Tiwanaku attracts visitors because of its awe-inspiring structures and Bolivia’s rich history. Measuring more or less 10,000 square kilometers, Salar de Uyuni is the largest salt flat not only in Bolivia but in the world. This destination is one of the most stunning places to visit among South American countries because of its huge salt desert. Salar de Uyuni also showcases photographic view and scenic landscapes made up of salt. 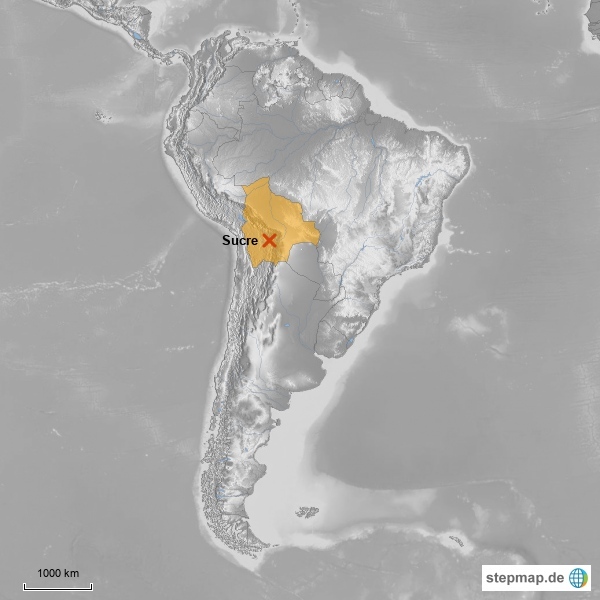 La Paz, which is the administrative capital of Bolivia, is where most of government offices are located, although Sucre is the capital city of the country. This destination is officially acknowledged as one of the new Seven Wonders of the World, along with Kuala Lumpur, Vigan, Durban, Havana, Beirut and Doha. La Paz is mostly visited by tourists because of its breath-taking scenery - be it natural or structures. Famously known as “the mountain that eats men,” Cerro Rico in Potosi was once the huge producer of Silver, especially during the New World Spanish Era. This destination got its famous name because several male miners were killed in Cerro Rico due to lack of enough safety equipment. Although this is a dangerous mountain to explore, there are still tourists who are interested in seeing the silver mines and how it works. One of UNESCO’s World Heritage Site, Jesuit Missions of Chiquitos is said to have been founded around 17th and 18th centuries. This destination showcases ancient temples built by the Jesuits with unique European-style architectural design. Jesuit Missions of Chiquitos is rich in history and has captured the interest of visitors when the story of the Jesuit priests was filmed in 1986.